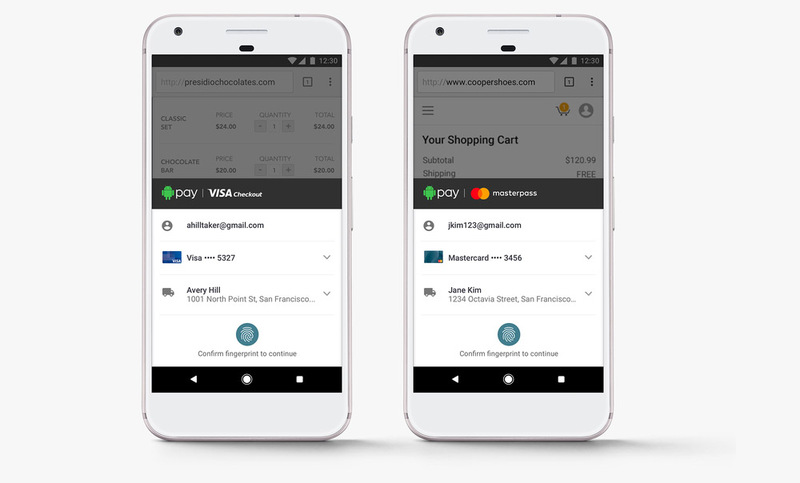 This morning, Google announced that it has partnered with Visa and Mastercard to bring even more Android Pay checkout options to the mobile web. That means being able to checkout with your fingerprint, rather than having to type out long passwords or usernames. The new partnerships include use with Visa Checkout and Mastercard Masterpass. When users link their accounts from those services with Android Pay, not only will they be able to quickly pay for goods online, but at supported stores as well.